Ilorin Emirate Descendants Progressive Union (IEPDU) 53rd annual conference disrupted – Royal Times of Nigeria. 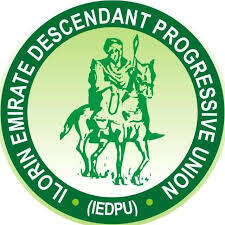 The annual national conference of the Ilorin Emirate Descendants Progressive Union (IEPDU) ended abruptly yesterday following an attempt to turn the event to a political rally. 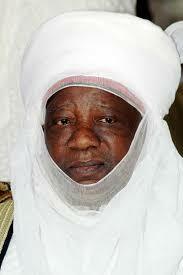 It was learnt that the incident, which was held at the forecourt of the Palace of the Emir of Ilorin, Alhaji Ibrahim Zulu-Gambari, occurred shortly after the governorship candidate of the All Progressives Congress (APC), Alhaji Abdulrahaman Abdulrazaq, was invited to the podium to launch the annual almanac of the socio-cultural organization. Abdulrazaq had barely begun his speech when some people believed to be his political supporters chanted O to ge!, the campaign slogan of the governorship candidate when another group shouted Sai Leader. The event, which had in attendance dignitaries from all walks of life, forced the Emir of Ilorin, Alhaji Ibrahim Zulu-Gambari, to leave the venue of the event in anger. Attempts to restore normalcy and continue the program proved abortive as supporters of political parties, who were allegedly mobilized to the venue continued with the chant. The incident however forced the people, who had gathered, to disperse angrily. Meanwhile, following the incidence, Labour Party Governorship candidate in Kwara state, Comrade Issa Aremu has faulted leaders and members of the PDP and the APC in the state for turning the event into a platform of show of political thuggery. He called on all contestants to operate within the guidelines and rules of Inter-Party Advisory Council (IPAC) and rules of INEC to ensure free and fair and above all peaceful elections in the state.